People faced with losing their homes to coastal erosion or flooding by the North Sea last night welcomed a breakthrough in their fight for financial compensation. A senior government adviser, the new chairman of the Environment Agency, Lord Smith of Finsbury, yesterday urged the government seriously to consider using taxpayers’ money to re-house those who lose out to the encroaching sea. It is the first time anyone of such standing has responded to the pleas of homeowners not to be left empty-handed after the sea claims their homes. His comments were given a general welcome by those living on the brink of coastal erosion, although they stressed the need for speedy action and said the government was guilty of “ongoing ambiguity” over many issues linked with the management of the coast. 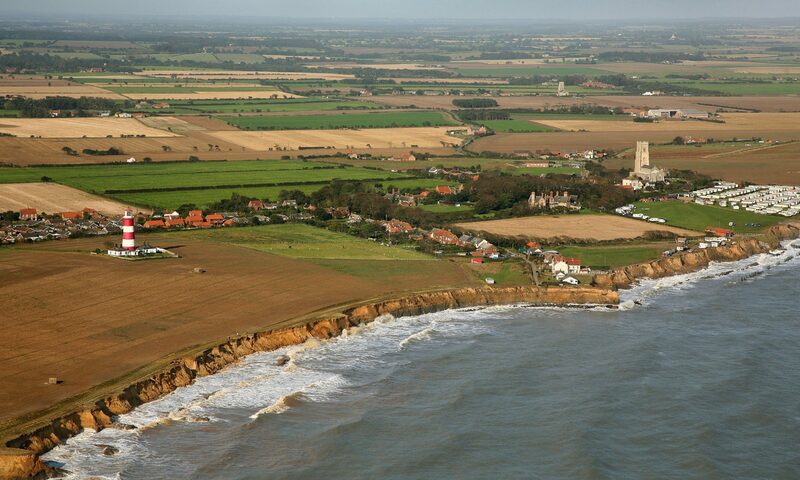 Di Wrightson, who lives within yards of the receding cliff edge at Happisburgh and is likely to have to move out of her home in the coming months, said she felt the wheels of government would almost certainly move too slowly to help her, but welcomed the fact the subject of compensation had finally reached the top table of government. “I really do think they are considering compensation now – and so they should, people are set to lose what they have worked their entire lives for, having been told when they bought their houses they would be protected,” she said. There have been increasing calls by homeowners for compensation to cushion the blow of losing their homes to the sea as the government attempts to move from a policy of holding the line to one of managed retreat along many parts of the coast. Lord Smith, a former Labour cabinet minister, named north east Norfolk and Suffolk as being particularly at risk. He did not make specific comment about the six Broads villages named in a recent, deeply controversial Natural England report which identified an option to allow 25 square miles of Norfolk to be abandoned to the sea – nor did he speak about specific communities such as Happisburgh, which has been at the forefront of coastal campaigning in recent years, or the Blyth Estuary, which is also threatened. He also left many questions unanswered about the scale and timing of any compensation deals. But his comments clearly had them in mind and were the first signs of hope for those who have campaigned for years to secure payments for those at risk from climate change and rising sea levels. Lord Smith said ministers could no longer rely on insurance companies to cover families who lost their homes, suggesting they would have to be rehoused at the taxpayers’ expense. “We need to start having a serious discussion with government about what options can be put in place,” said Lord Smith, who went on to say that the north east Norfolk and the Suffolk coastlines faced the most immediate danger. Malcolm Kerby, coordinator of the Coastal Concern Action Group, a campaign body born from the problems faced in Happisburgh but which now has a reach into communities across the country and into several government bodies, said he “took tremendous heart” from Lord Smith’s words, but added that it was vital to avoid “false hope”. Mr Kerby said the compensation debate was only in existence because the government wanted to introduce policy changes such as managed retreat, which were “utter madness”. “To have someone at the top of the Environment Agency say these things shows that he accepts that if the government wants to pursue the policies it says it wants to pursue – which are folly in themselves – then there has to be compensation. North Norfolk MP Norman Lamb said: “I am of course encouraged by the support for proper financial compensation for communities and individuals affected; it appears some headway is being made on this subject. Lord Smith said the agency was already drawing up projections as to which areas of coast would be most at risk over the next 50 years.